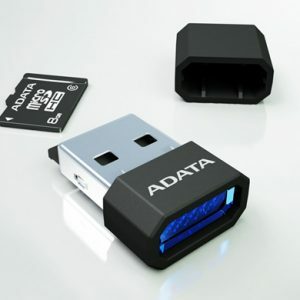 The compact OTG microReader combines microUSB and USB 2.0 connectors into one convenient package. 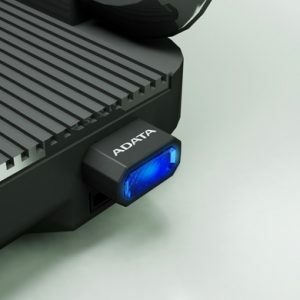 You can switch between connectors by pressing and sliding the button. 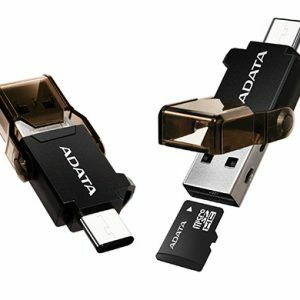 Access data on a microSD card by plugging it into the base of the microReader’s standard USB connector. 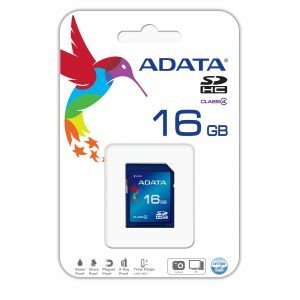 To eject the card, just slide the button on the back. 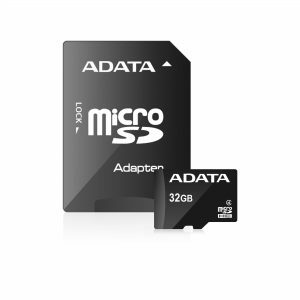 The OTG microReader also provides a quicker and smarter way to securely share data among different devices such your mobile phone, tablet and PC. 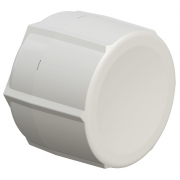 With no end cap to hassle with or lose, the OTG microReader is both compact and easy to use. 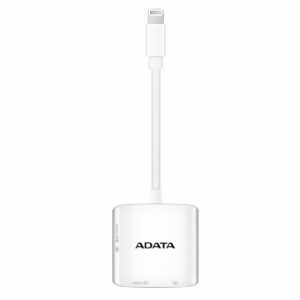 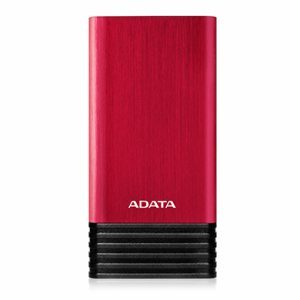 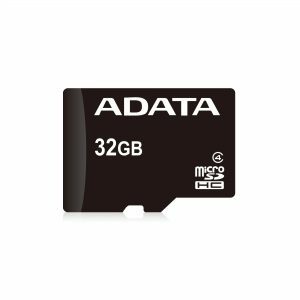 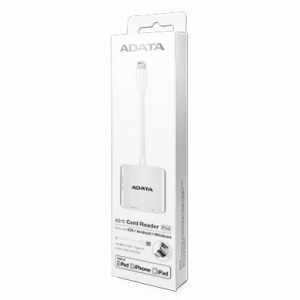 The ADATA USB-C OTG reader plugs in to reversible USB-C ports on one end and also to USB-A ports on the other while accepting microSD cards. 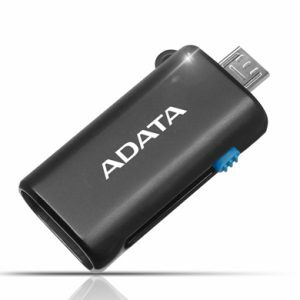 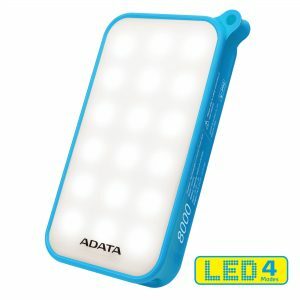 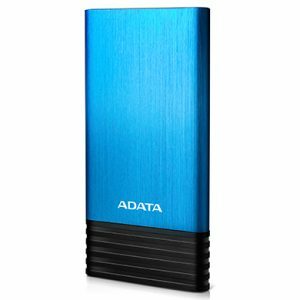 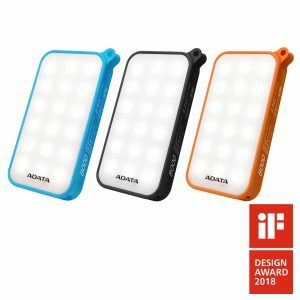 This gives you tremendous versatility in accessing data across different devices on the go. 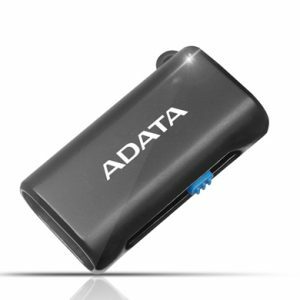 The clever engineering of this compact reader brings two USB port types and microSD together in a product that fits in your pocket. 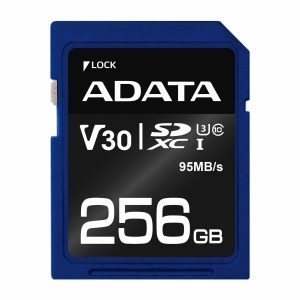 Inserting and ejecting microSD cards is easy, and the built-in swing cap isn’t removable so there’s nothing to lose and the whole experience is neat and seamless. 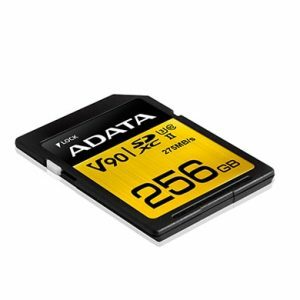 The Premier series memory cards are especially designed for digital camera users. 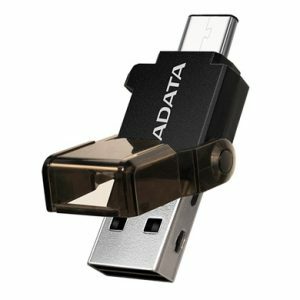 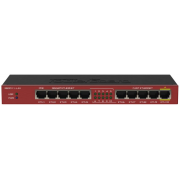 They are compliant with SD 3.0 specification (Ultra High Speed 1, UHS-I), and backwards compatible with SD 2.0 specification devices. 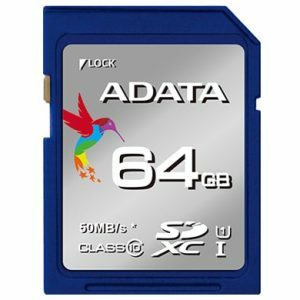 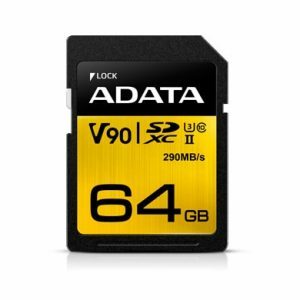 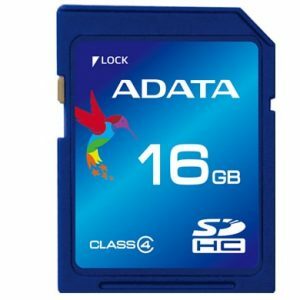 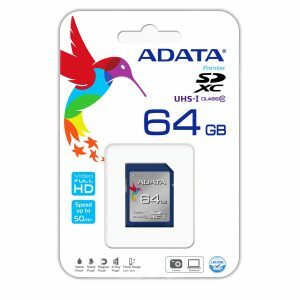 64GB memory card, read/write speeds are as high as 50/10 MB/sec, providing you with higher performance, high reliability and outstanding durability. 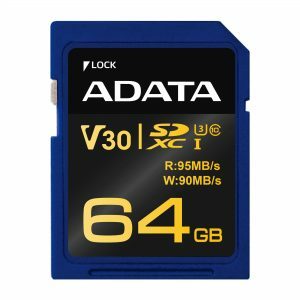 The Premier Pro series of SDXC UHS-I U3 memory cards delivers enhanced performance with read/write speeds up to 95/60MB/s, allowing the capture of high definition images and videos, including burst mode photography. 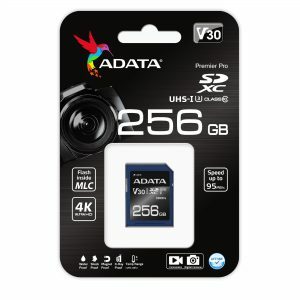 They are V30 (Video Speed Class) qualified and support Ultra HD 4K video recording. 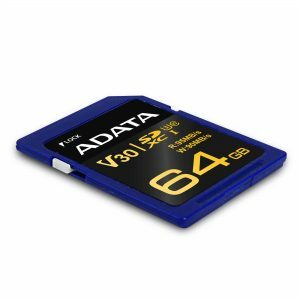 Backed by solid multi-point protection, Premier Pro SDXC UHS-I U3 memory cards are the durable and reliable choice of professional photographers and enthusiasts for capturing every fantastic moment with utmost precision.